Oil on linen/panel, 2011, 7x5"
Oil on linen/panel, 2011, 5x7"
Today's daily painting is a winter landscape of storm clouds over Lake St Clair as seen along Lake Shore Drive. 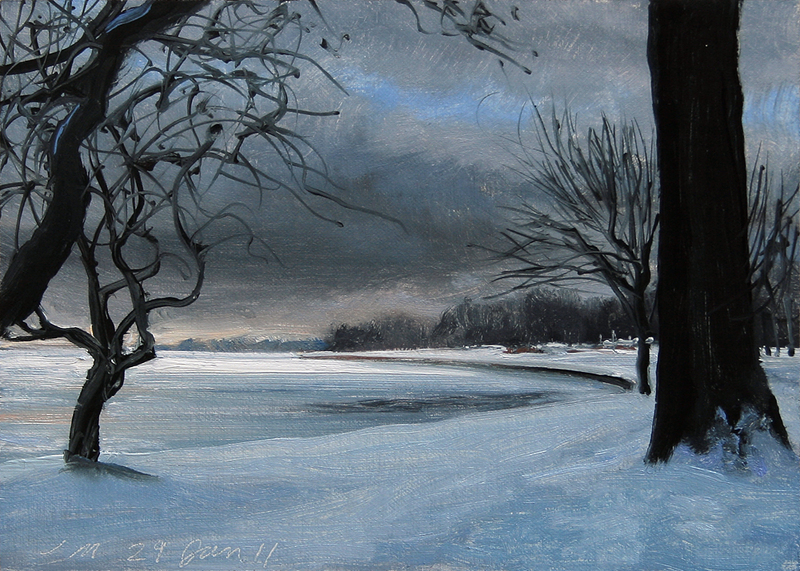 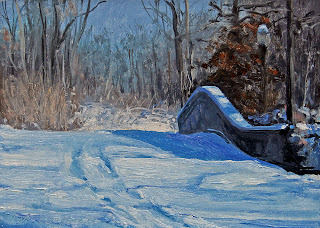 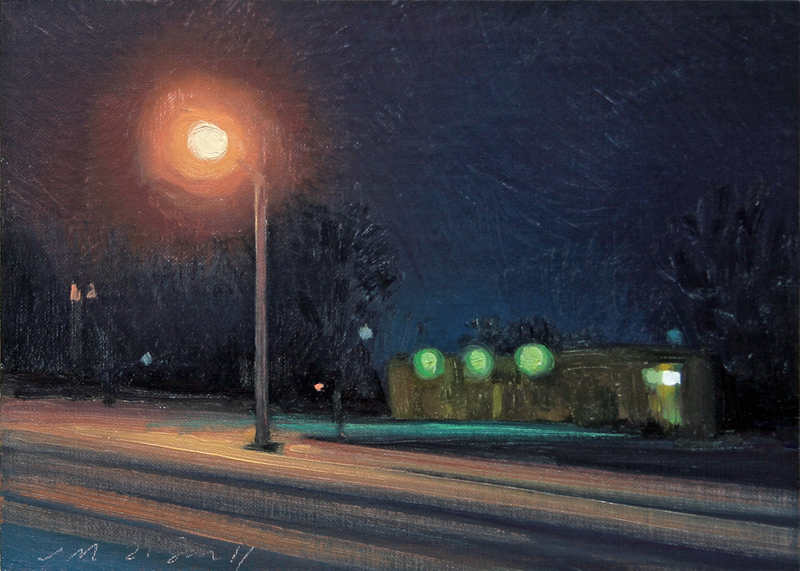 Today's daily painting is a winter landscape of the Central Ave Bridge over the canoe stream on Belle Isle. 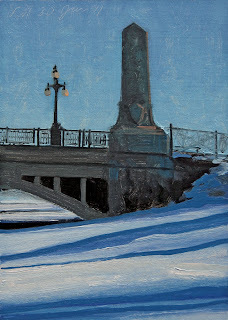 This small graceful bridge was built in 1913. and reminds me of the bridges in Central Park, NY. Today's daily painting is a industrial landscape of railroad car #3257 at the Rouge Plant railbed. 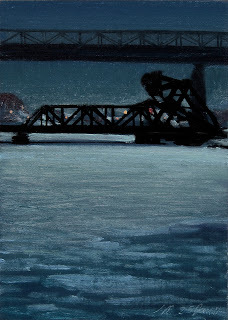 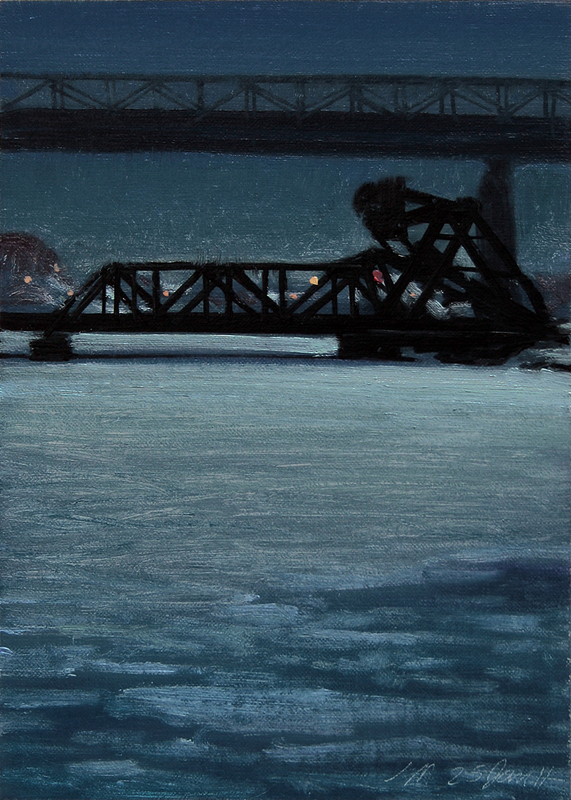 Today's daily painting is a winter landscape of a downriver industrial scene with the icy Rouge River illuminated by moonlight. 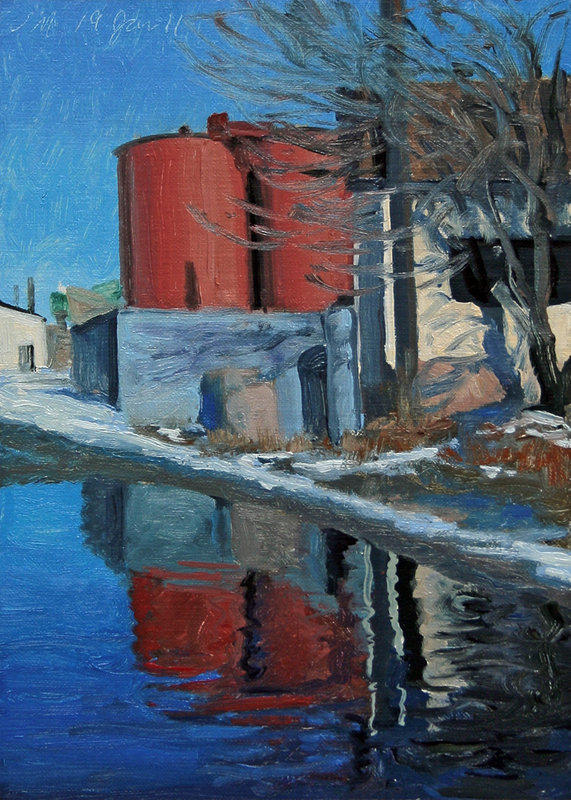 Today's daily painting is a winter landscape of a downriver industrial scene with strong sunlight and shadows on a crisp winter day. 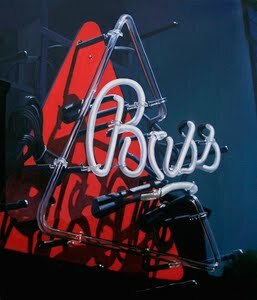 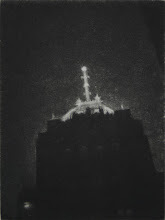 Today's daily painting is a winter urban landscape of a detail of the Vanity Ballroom on E. Jefferson Ave. 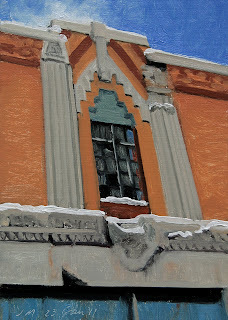 Recorded as the last intact ballroom of the Detroit dance halls. 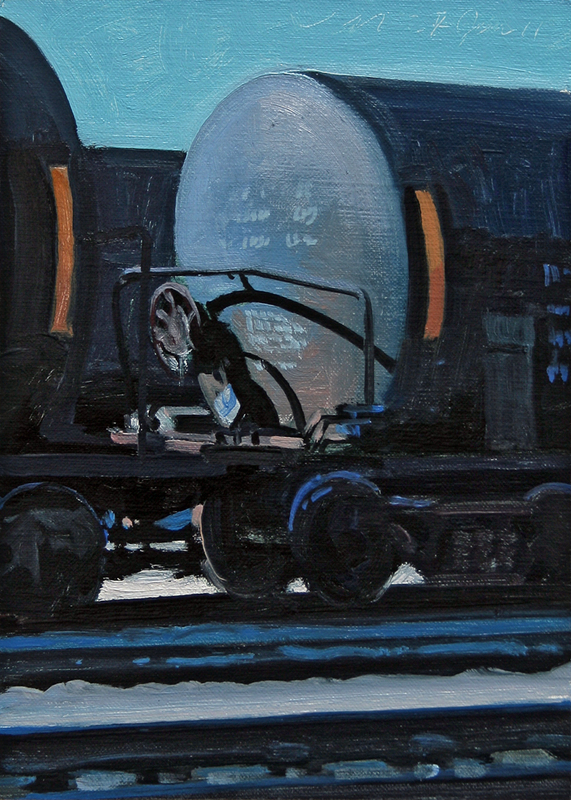 Click on link for more interesting details. 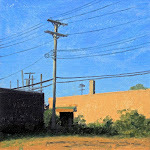 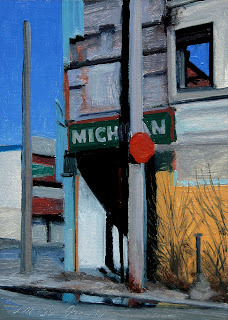 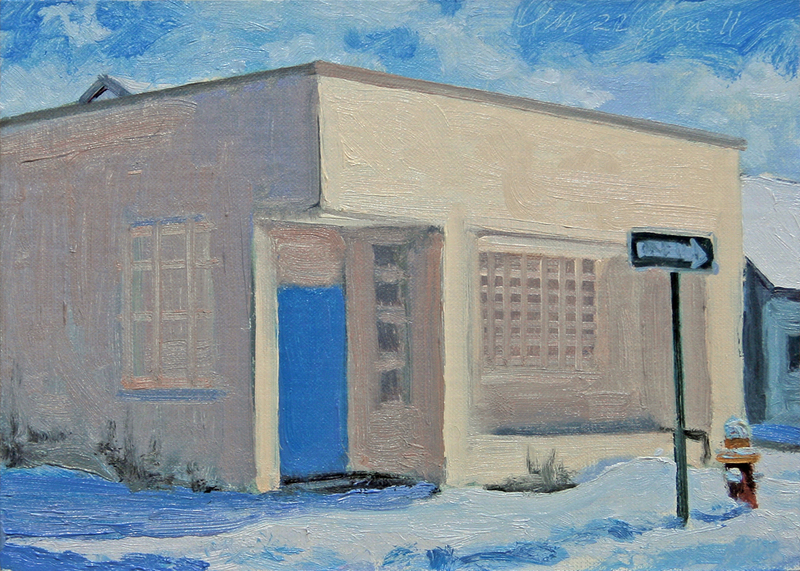 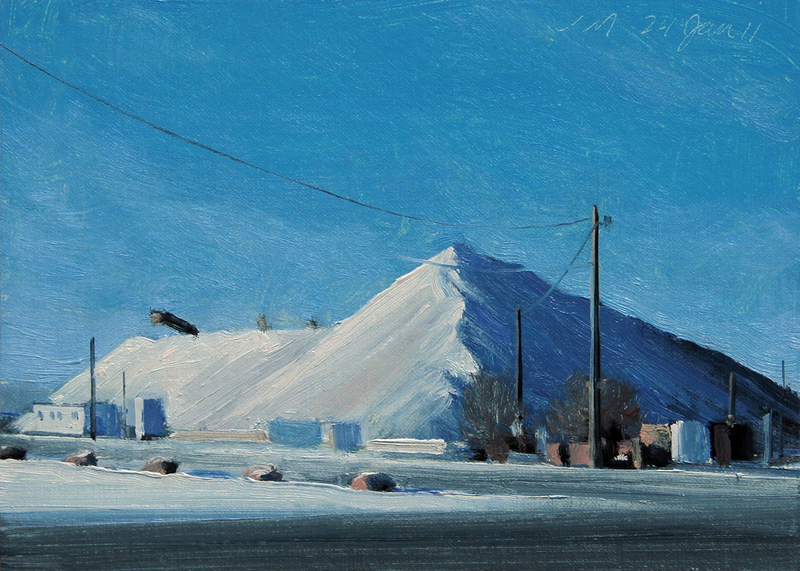 Today's daily painting is a winter urban landscape of a building on 8 Mile Rd in bright sunlight. 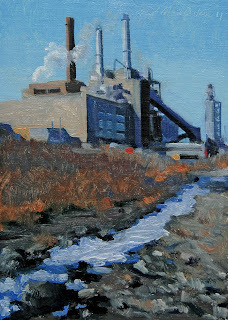 Today's daily painting is an industrial landscape of the River Rouge power plant, winter home to two peregrine falcons. 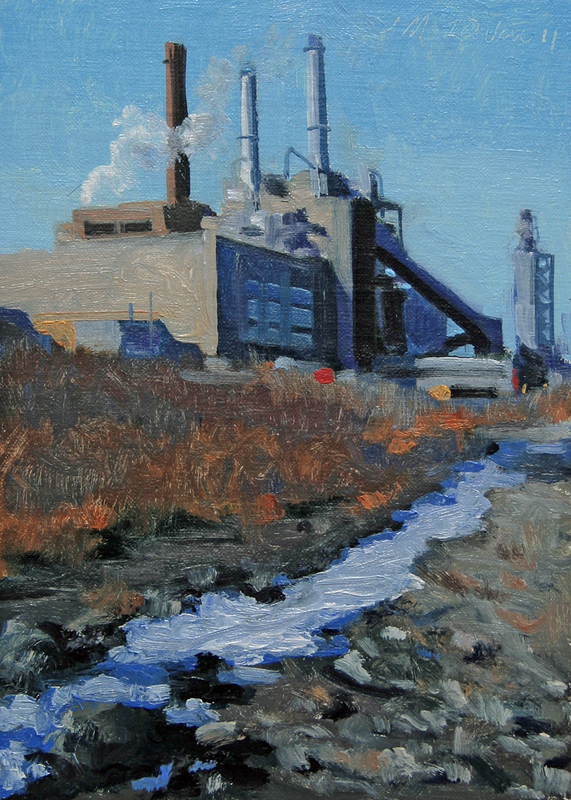 The plant's green team has installed bluebird boxes and raptor perches along with planting a butterfly garden.